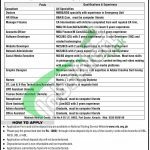 Here on 09th October, 2016 get Madina Medical Center Port Qasim Karachi Jobs 2016 NTS Form Download. Latest Hospital Staff job opportunities are announced by Madinah Medical Center Karachi for each shift for which applications are invited from the Pakistani Nationals male / female which are highly qualified, experienced and motivated against the following positions such as (Consultant, Doctors, HR Officer, Manager Finance, Accounts Officer, Software Developer, Website Developer, Network Administrator, Social Media Executive, Graphic Designer, Nurses, OT, Lab & X-Ray Technicians / Assistants, OPD Assistant, Trainee Dental Assistant, Store Assistant, Admin Assistant and Office Assistant). Those interested applicants who are willing to apply should hold relevant qualification and experience mentioned in the following image in detail such as applicants should hold qualifications MBBS, BDS, MBA, M.Com, MCS, CA, ACCA, ACMA, BBA, B.Com, BS, BCS, Bachelors, Matric and maximum relevant experience. For more detail please examine following image posted below and now let’s jump towards how to apply procedure given below which is just according to the rules of NTS. 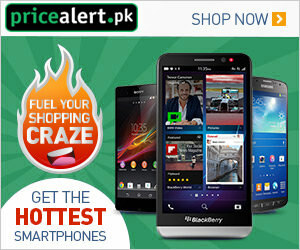 Candidates may download application and online deposit slip from the official site www.nts.org.pk. Duly filled application form along with paid deposit slip of Rs. 1000/- as test fee and all other documents should reach the following address given below. NTS fee can be submitted in any online branch of HBL, MCB, ABL and UBL (non-refundable and non-transferrable). Last Date for submission of application is October 25, 2016. Information about Roll Number & NTS test date and timing will be dispatched at official site of NTS before one week of NTS test. Last Date to Apply: October 25, 2016.